The Nakaya Portable Writer in Kuro-tamenuri is hand-finished in the traditional craft center of Wajima on the west coast of Japan. 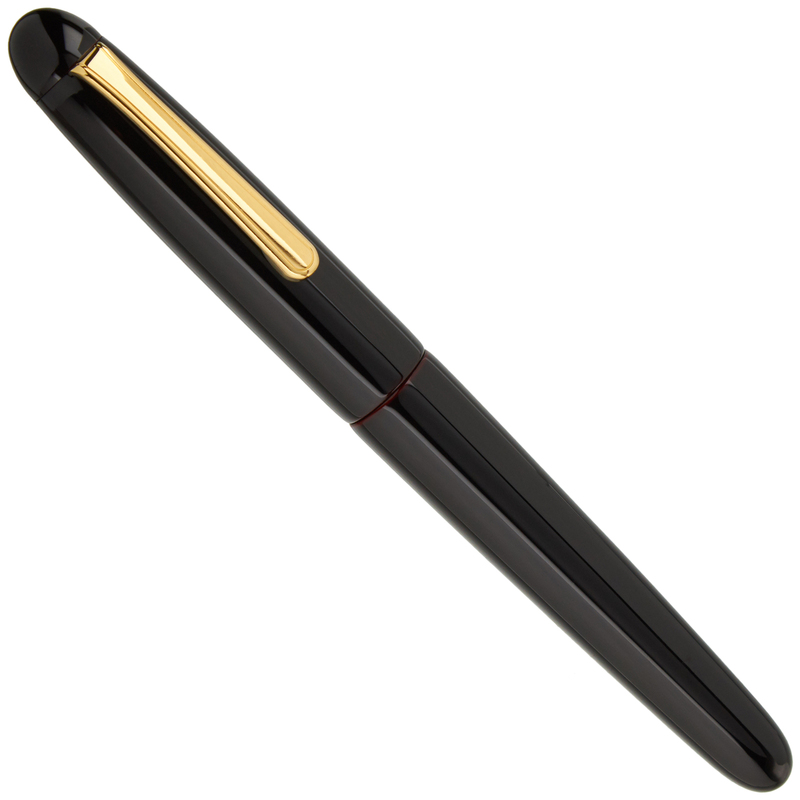 The pen is furnished with your choice of 14k solid gold nib. Each pen is carefully inspected, tested, and tuned by us for your individual writing characterics before shipping to you. Our optional nib customizations can provide added line-width variation in your writing on the page. We are an authorized Nakaya dealer. The continuous smooth profile of this pen is a testament to elegant design. 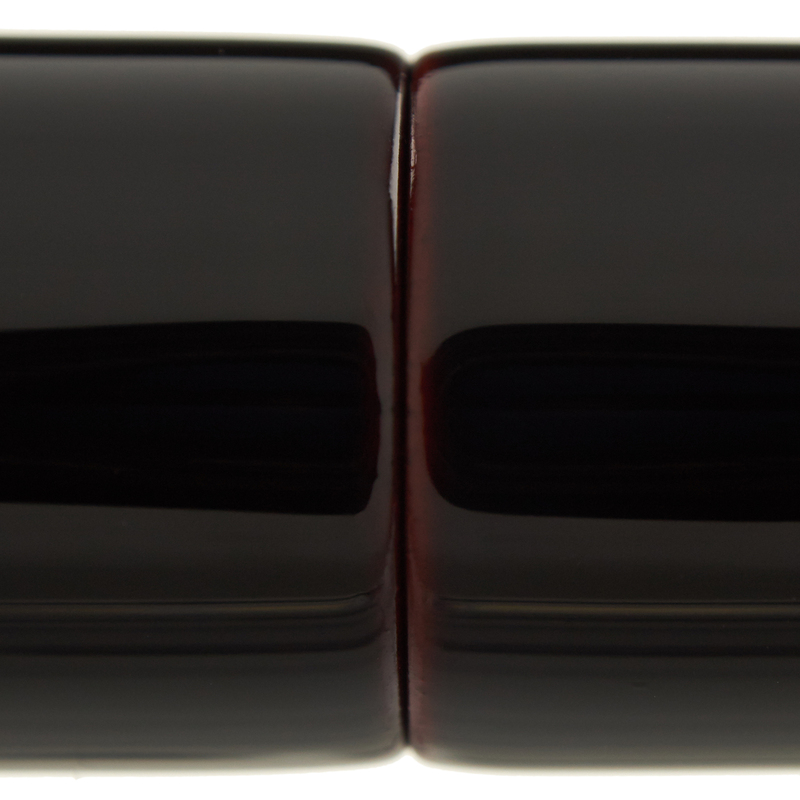 This Nakaya fountain pen is made of hard rubber or ebonite that is meticulously coated with urushi, a material made from the sap of a Japanese lacquer tree. The process of collecting the urushi and applying many layers of lacquer to this fountain pen takes approximately three months to complete. Though painstaking, this technique gives this fountain pen its deep lustrous sheen and subtle color shift. This pen will only become more beautiful in time. The Nakaya can be filled with bottled fountain pen ink using the provided converter and hand-painted Maki-e converters are also available. 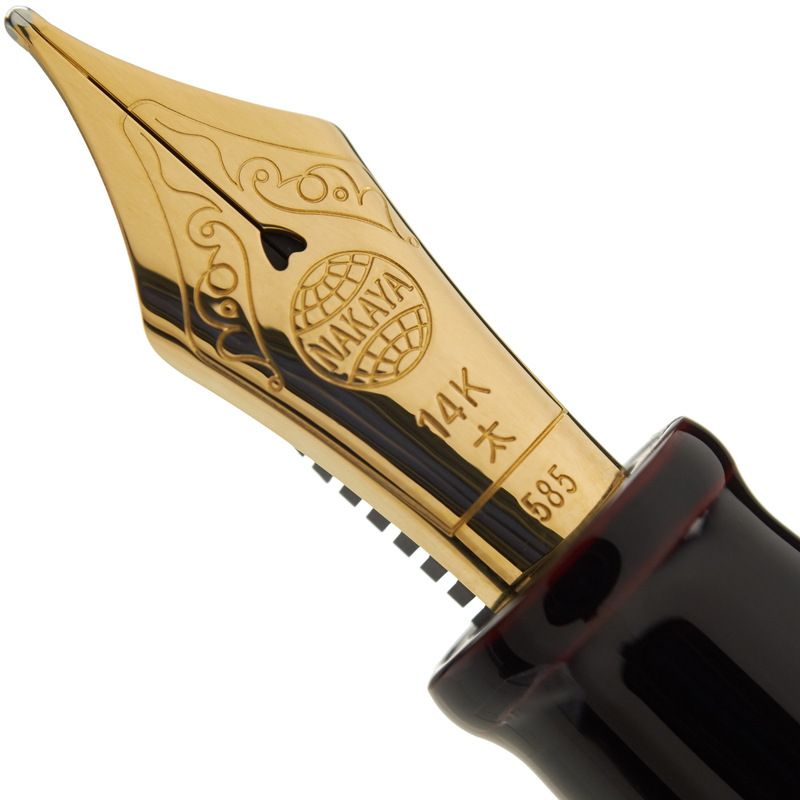 Nakaya pens can also use Platinum brand top quality ink cartridges. A gold clip functions as a built-in roll stopper and also allows the pen to be securely fastened to a shirt pocket. Decorative rice paper, a simple solid softwood shipping box decorated with Japanese Kanji script, and a fabric pen "kimono" are all included with this pen, making it a lovely presentation item. 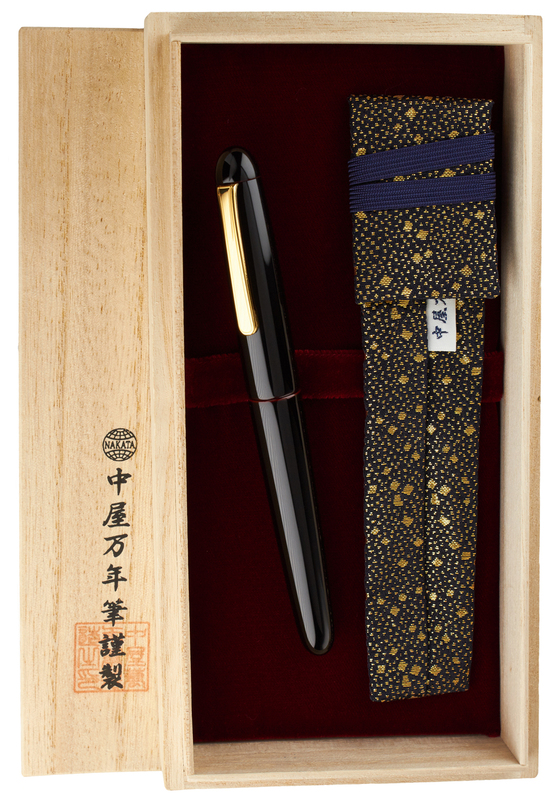 Sensible and elegant packaging has long been a hallmark of the Nakaya brand.